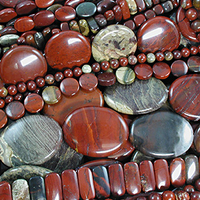 Our selection of semiprecious stones spans the full spectrum of natural colors, from matte earth tones to bright blues. 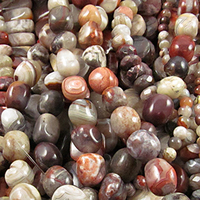 Choose from round gemstone beads in sizes 4mm through 12mm, plus a dazzling array of fancy cuts in a variety of smooth and faceted shapes. 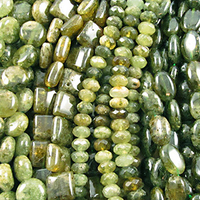 People have adorned themselves with precious and semiprecious gemstones throughout the ages. 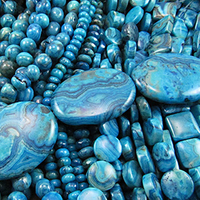 Each stone is a unique wonder with its own energy, so it's no wonder that people love collecting and wearing those pretty little rocks. 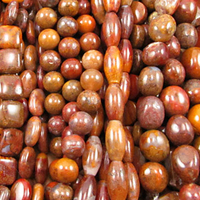 Semiprecious stone beads are suited for jewelry of all types. 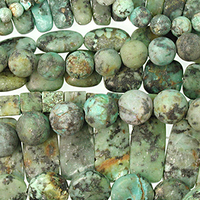 Make earrings, bracelets and necklaces from beautiful stones that are mined all over the world. 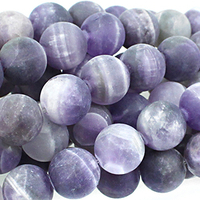 These beads have been expertly cut, shaped, drilled and polished just for you, so create your own unique fashion statement.